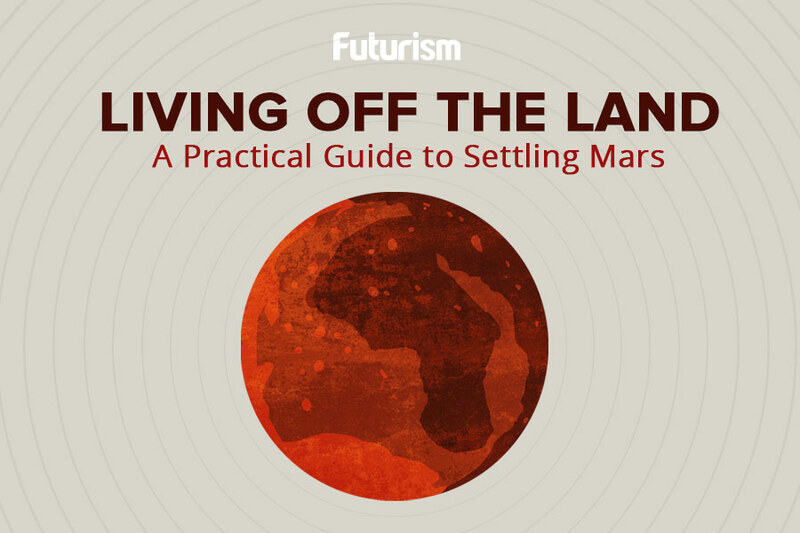 "On Mars, our city will physically and functionally mimic a forest." Every year, Mars City Design hosts a competition in which innovative teams of scientists, engineers, and students design unique concept-cities for the day when humans attempt to live on Mars. 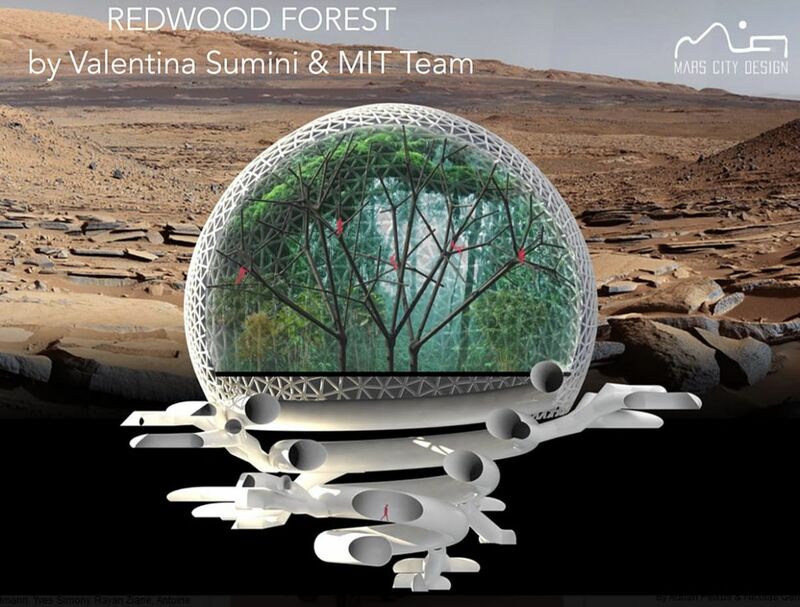 This year, a team of nine MIT students led by MIT postdoc Valentina Sumini and Assistant Professor Caitlin Mueller took first place in the architecture portion of the contest with their unique tree-inspired Mars city concept, titled Redwood Forest. Redwood Forest is a soothing space that can provide up to 10,000 weary human travelers with equal amounts of comfort and safety from the elements. While at first glance the domes themselves don’t appear capable of housing such large numbers of people or providing them with adequate facilities, just like a tree, these domes aren’t limited to what you see above ground. 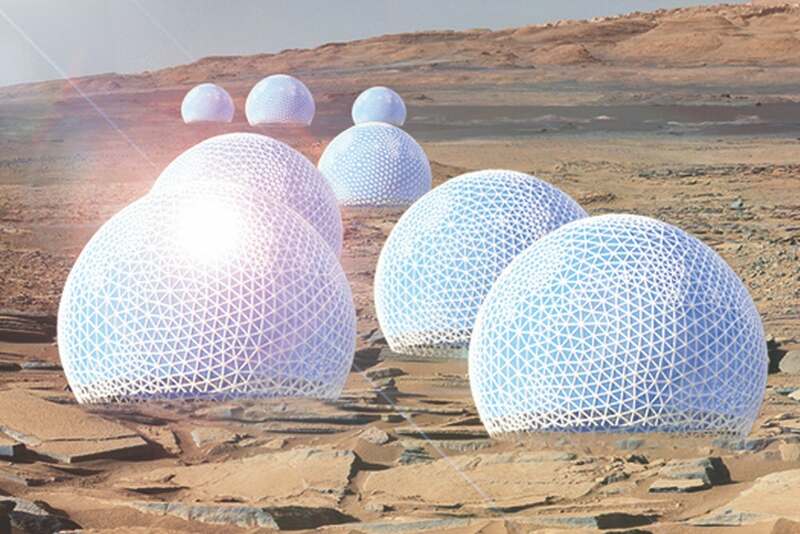 Below the surface of the Red Planet, each dome in MIT’s Mars city concept branches out into “roots.” These intricate tunnel systems connect the domes and provide additional protection from surface threats. This design was chosen for both functional and symbolic reasons. Every tree habitat in Redwood Forest will collect energy from the Sun and use it to process and transport the water throughout the tree, and every tree is designed as a water-rich environment. Water fills the soft cells inside the dome providing protection from radiation, helps manage heat loads, and supplies hydroponic farms for growing fish and greens. Solar panels produce energy to split the stored water for the production of rocket fuel, oxygen, and for charging hydrogen fuel cells, which are necessary to power long-range vehicles as well as provide backup energy storage in case of dust storms. The surface of the Red Planet is intrinsically harsh. From a virtually nonexistent atmosphere to radiation to dust storms capable of covering the entire planet, Mars is a barren landscape that can get as cold as -125 degrees Celsius (-195 degrees Fahrenheit) near the poles in winter. Obviously, any Mars city concept would need to be capable of protecting Earthling travelers from these physical hardships. However, after a mind-numbingly long and arduous journey through space, survivable conditions might not be all that a group of human beings needs to live a happy, healthy life on Mars. Thinking of all these potential variables will be essential if humanity ever hopes to live beyond Earth. We’ll need innovative thinkers at all stages of the process, from designing the rockets that transport us to building the cities we inhabit once we arrive. The Redwood Forest concept illustrates the power and potential of both sound scientific planning and the ability to see far beyond what has been done, or even imagined, before.